British business group Virgin, which started out running a music label and chain of record stores in the 1970s, has become one of the country's leading healthcare providers after being awarded almost 2 billion pounds ($2.6 billion) worth of contracts in the National Health Service, or NHS, over the past five years, according to figures published by the Guardian newspaper. The healthcare system in Britain is provided by the taxpayer-funded NHS, which is completely free of charge at the point of use. It celebrates its 70th birthday this year, but increasing numbers of contracts within the system are being made available to private contractors. Over the years the Virgin group, headed by high-profile businessman Richard Branson, has expanded from its initial music industry base to set up an airline, travel and finance companies, and run several major train services. Its involvement in healthcare is less publicized but according to the Guardian, its healthcare sector Virgin Care now runs at least 400 public sector health contracts, ranging from dental services in prisons to organizing flu jab services for school children. Whilst there is nothing questionable about Virgin's increasing involvement in the health sector, there has been some criticism of the way it has conducted its business, most notably when last year it won a 2 million pound payout from several regional NHS trusts in a legal dispute over a child care services contract. Also, neither the Department of Health and Social Care nor NHS England keep centralized records of contracts awarded, so specific details are hard to get hold of. "The company has been so keen to get a foothold in healthcare, it's even been prepared to go to court to win contracts, moves that have cost the NHS dearly," said Sara Gorton, the head of health at the trade union Unison. "While the NHS remains dangerously short of funds, taxpayers' money shouldn't be wasted on these dangerous experiments in privatization." A spokesperson for Virgin Care defended the company's actions, telling the Sun newspaper "Virgin Care accounts for less than 1 percent of the Virgin Group's value and has not made a profit to date". Virgin first became involved in healthcare on a small scale in 2008 but in 2010 it bought a significant stake in an existing provider, Assura, since when it has grown significantly. 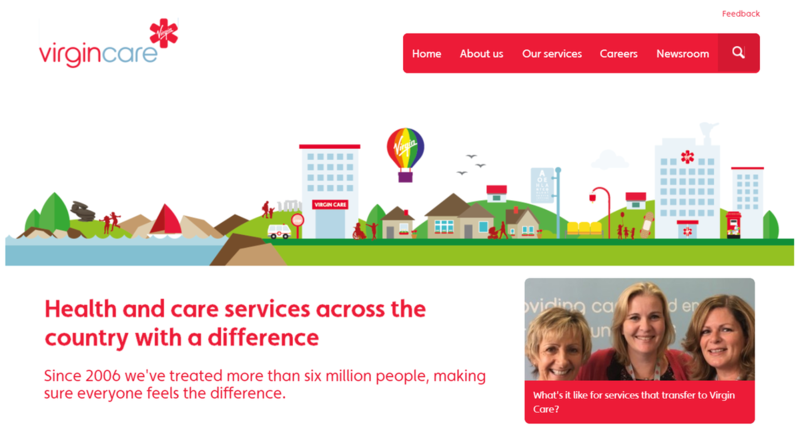 The Guardian reported that as of March 2017, Virgin Care Services Ltd had almost 1,200 staff, with a turnover of 204 million pounds and an operating profit of 8 million pounds.